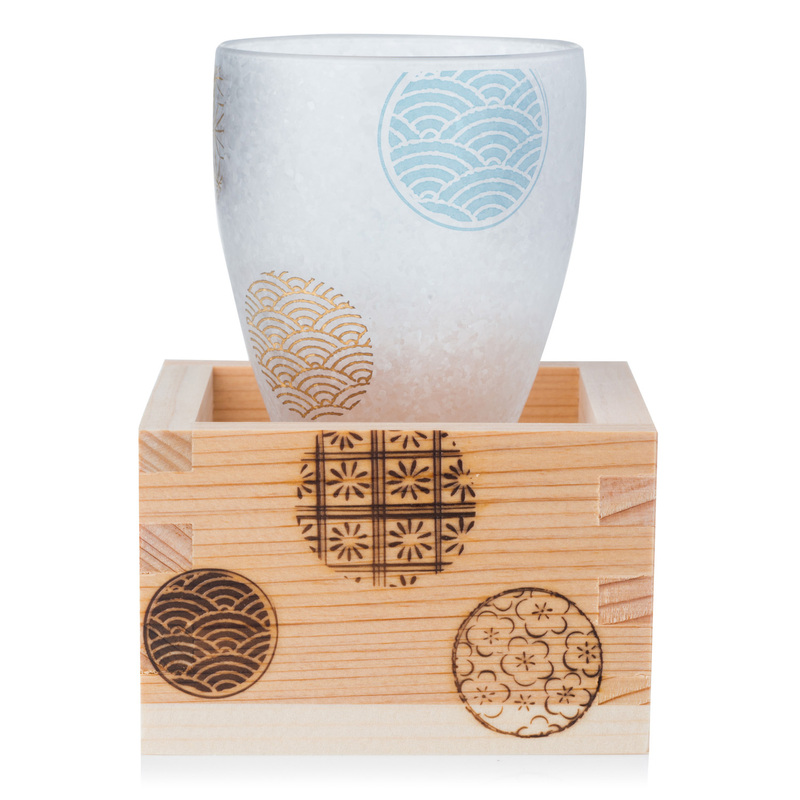 Marumon Premium Japanese Masuzake Set is a traditional Japanese wooden sake cup and glass! Exclusive to The Japanese Shop, very good quality and complete with a smart royal blue gift box. Glass: 100ml, 9cm tall x 5.5cm dia. / 3.5 inches tall x 2.25 inches dia. Wooden Cup: 7cm x 7cm x 5cm. The perfect Japanese present for someone who loves drinking sake in the authentic Japanese way! 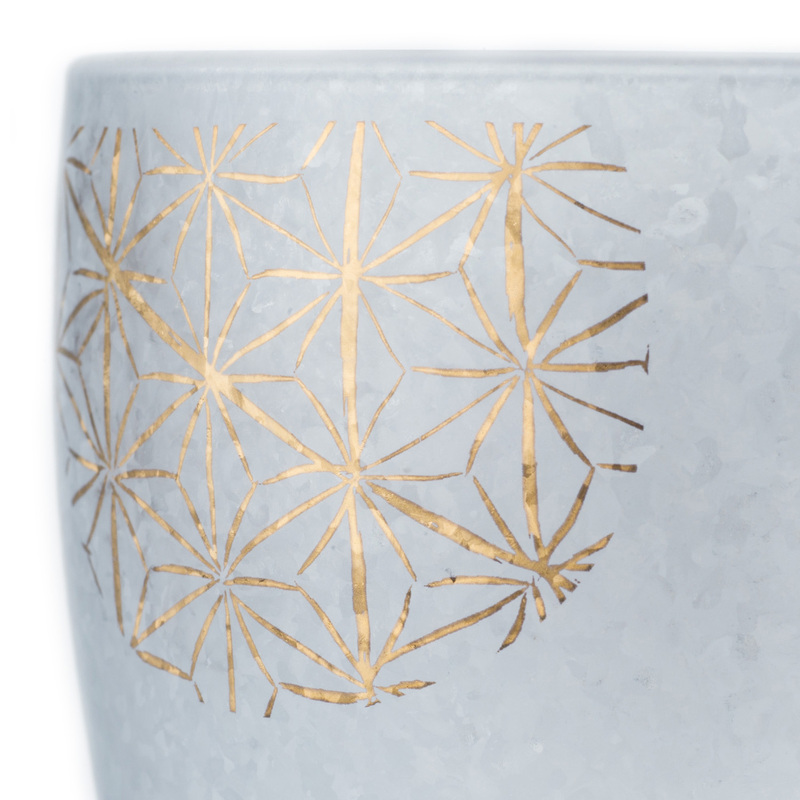 Perfect for sake drinkers, the Marumon Premium Japanese Masuzake Set comprises a traditional Japanese wooden sake cup (called masuzake) and a frosted glass sake cup with a blue and gold wave-like (marumon) design. Sake, (pronounced sɑ-keh) also called o-sake or nihonshu is an alcoholic drink distilled from rice which can be enjoyed hot or cold and is a superb accompaniment to sushi! In Japan you would place the sake cup inside the wooden cup and fill it right to the brim, any sake that spilt over the cup can then be drank fom the wooden cup! 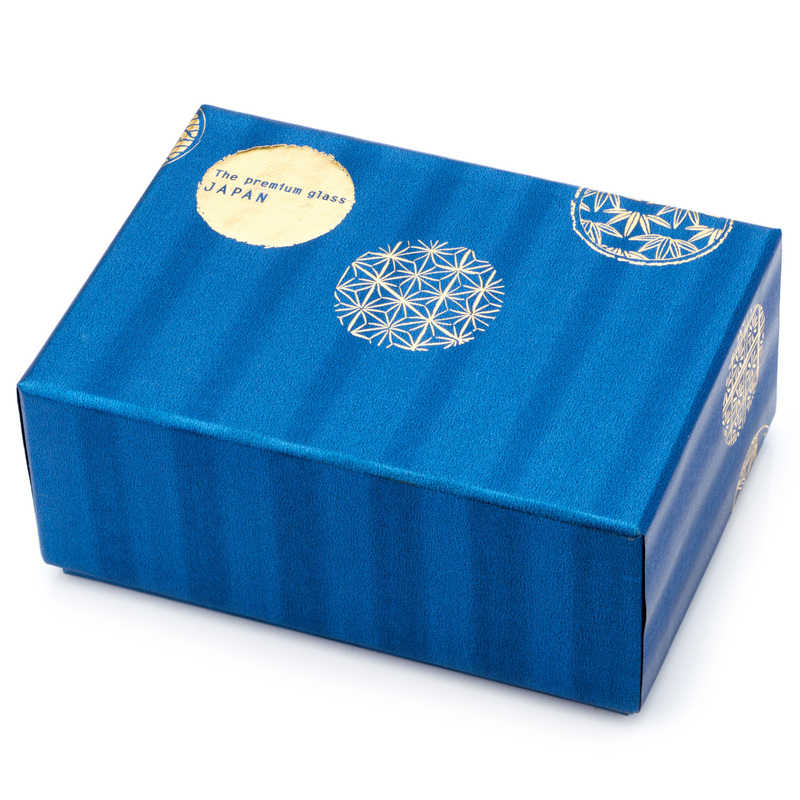 Complete with a smart royal blue gift box the Marumon Premium Japanese Masuzake Set would be a great Japanese present for all sake aficionados! We recommend that you don't use them in a dishwasher or microwave, just wash them gently by hand. 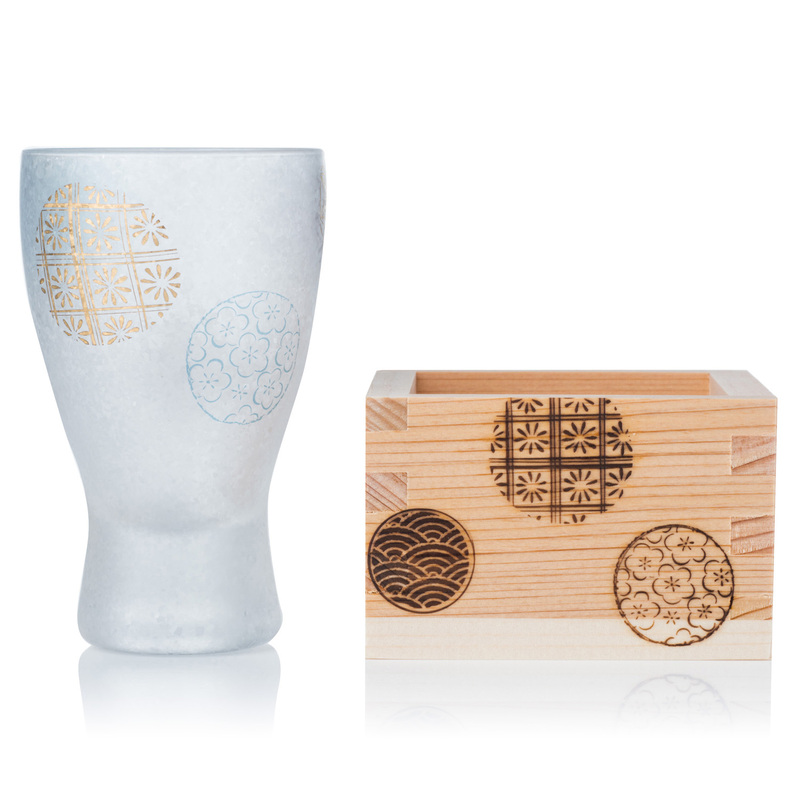 Order your Marumon Premium Japanese Masuzake Sets online today and have them gift wrapped free of charge or visit our showroom for this and more authentic Japanese wooden sake cups!